While United States President Barack Obama and Afghan leader Hamid Karzai scramble to solidify a peace process ahead of the 2014 withdrawal of NATO troops from Afghanistan, fears that the Taliban will use the drawdown to seize power hang like a dark cloud over civil society. 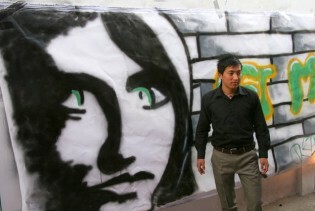 Afghan women are no strangers to gender-based violence. For decades now, violent crimes against women have been heading for epic proportions, as young girls are forced into marriage, wives and daughters are abused, and women are dealt harsh punishments for ‘moral crimes’.